Create with Seongsook: Happy Mother's Day! 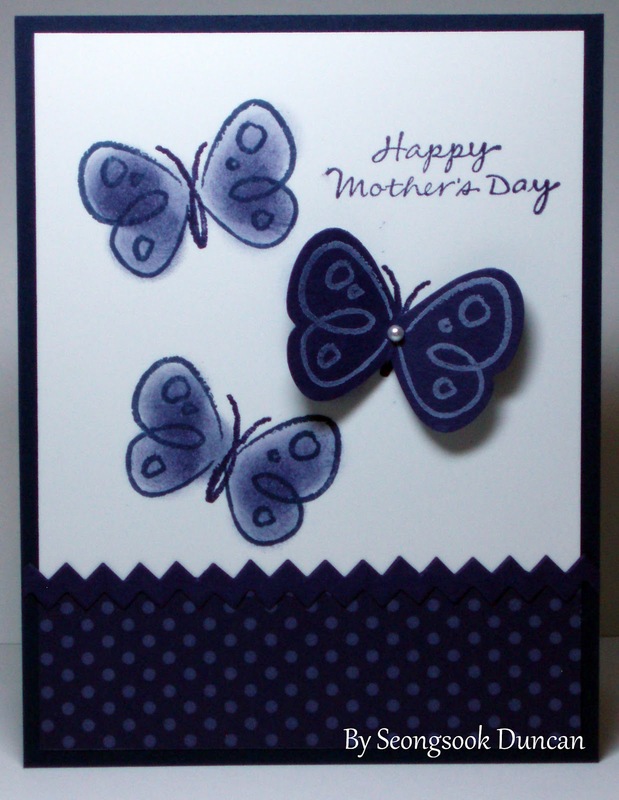 I love how you layered the white on white on the second card. I have a similar border punch that I will try this idea with. Thanks for sharing! Hello Seongsook! These are both pretty but wow, the second card is just stunning! What a gorgeous image and so nice that you combined two colors in the flowers. 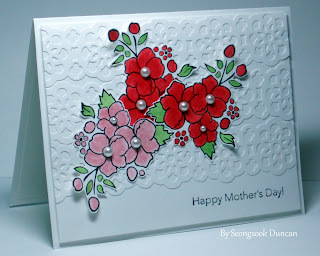 The way you stacked that edge punch is such a great idea and the pearls are just perfect. both of them are wonderful for Mother's day.